Tacticat the online sailing tactical simulator just keeps improving. In the last week or so tides have been added to the program introducing all sorts of fun new realistic effects such as being swept on to the windward mark by the current. Once the applet starts you can click on F1 to see the full list of commands some of which you will need to control the view in the replay. Z and X zoom in and out. W controls different displays of wind. U controls display of current. You can left-click on the display to re-center what part of the race course you are viewing. The race countdown clock is in the top left-hand corner. There are controls at top center to pause or slow the action, and a slide to fast forward at top right. You will see the sailors chatting to each other before the start and during the race. The exchanges about ICISC relate to my Small World post from a few days ago. You will see some dude called Litoralis foul himself on my transom just before the start and then see him complaining at other boats that he thought were too slow at the start. But note how that yellow boat aces the start, picks the correct side of the course, nails the layline (well almost) and leaves the fleet in his wake. As they say, "Even a blind nut can find a squirrel occasionally." Or something like that. It seems that I misjudged you my dear readers. I had thought that you would like nothing better at Thanksgiving than to spend a few happy minutes browsing around boating blogs to find the answers to such deliciously salacious questions as "who recently lost their New Jersey virginity?" 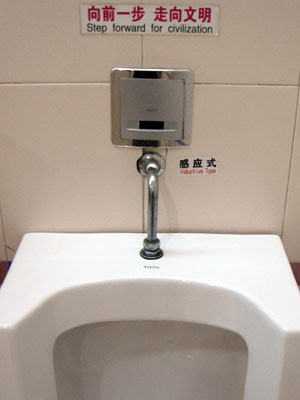 and "who has been taking photos of urinals in China?" But no. There was hardly any response to my Boating Blog Trivia Quiz. 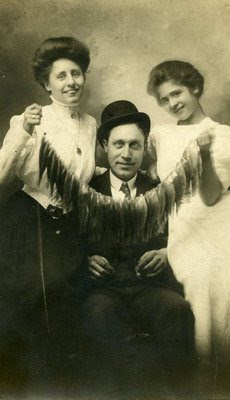 Clearly you were all much too busy following other Thanksgiving traditions such as pretending to enjoy eating a plateful of your mother-in-law's special yams in raspberry syrup, and laughing for the seventeenth year at Uncle Joe's joke about the time he lost his dentures while stuffing the turkey. Actually there were two answers in the comments. But they were both from Adam. And the second one was only correcting the first one. What were you drinking man? Anyone, I am not one to be deterred by your apathy. Whatever the reason for your giving me the cold shoulder, I forgive you. So for your blog browsing pleasure here are the answers to the quiz. Knock yourself out. 1. 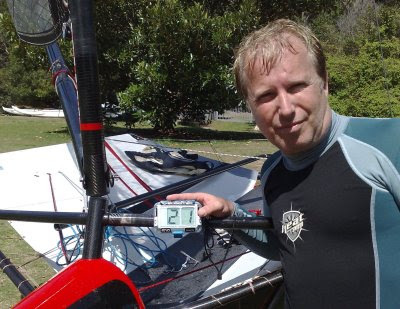 The dude who recently achieved a speed of 21.8 knots in a foiler Moth is Simon Nelson from another mid life crisis. 2. And the other dude who recommends warming your feet in a hot tub before you go windsurfing is Windsurf Woody. 3. Edward from EVK4 SuperBlog is the superhero who has just launched an official Laser Olympic Campaign with the motto "Velox Ocius Pango". 4. 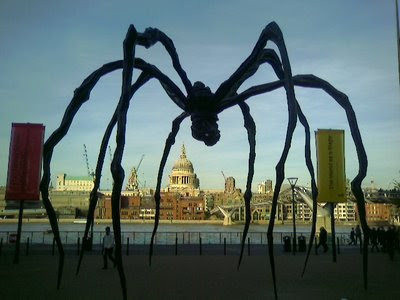 As Adam correctly answered, this picture of a monster spider ready to devour London is from Captain JP's log. 5. No Litoralis, it wasn't frogma who wrote about losing her "New Jersey virginity". It was Grandma. 6. And it was Soulsailor's kids who persuade him to name his new boat "Miracle or Jedi Mind Trick". 7. The author of South West Sea Kayaking is apparently a fellow Fawlty Towers fan. Hey, the post was about kayaking in Torbay so this quote does kind of fit. Well, may I ask what you expected to see out of a Torquay hotel bedroom window? The Hanging Gardens of Babylon? 8. Step forward for civilization. Danish windsurfer Moses Lovstad was the fellow who was training in China and felt compelled to share with us this sample of Chinese culture. 9. Christy from Central Air was in the Fish on Friday mood when she posted this photo. 10. 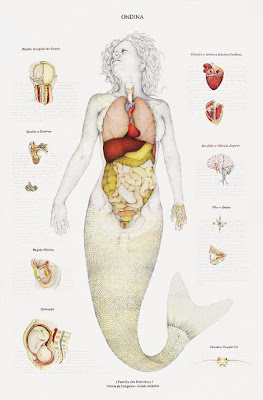 And finally, (do I hear a huge sigh of relief) David who writes Never Sea Land has something of a mermaid fixation and was responsible for ruining your appetite for Thanksgiving dinner with this anatomically correct picture of the mermaidian reproductive tract. So you've read on some blog or other about Laser sailing and decided it sounds like fun. You went down to watch your local Laser fleet racing and saw people of all ages, sizes and genders out racing Lasers, and now you're certain that Laser sailing is for you. But you're nor sure whether you need to buy a Standard Rig or a Radial Rig... or even something called a 4.7 whatever that is. Well let me try and explain. Basically it all depends on your weight. When the Laser was first launched over 35 years ago it came with one size of sail. It quickly became very popular, but over the years it became apparent that for lighter people, especially smaller women and younger teenagers, it was more than they could handle in a real blow. It was clear that a smaller, less powerful rig was needed for the boat to become popular with lighter people. One attempt to solve this problem was called the M-rig. It never really caught on. If you see one for sale I don't recommend you buy it. There are very few of them around and you won't find any other M-rigs to race against. The real breakthrough in solving the issue of making the boat more manageable for lightweight sailors was the Laser Radial. This uses a shorter more flexible bottom mast section and a radial cut sail with 18% less area than the standard rig. The Radial is now immensely popular for youth and women's racing. Indeed the Radial is the single-handed boat for women in the Olympic games. It was then discovered that many kids who learned to sail in Optimists and aspired to sail Lasers had a problem. There was a weight range when they were really too heavy for an Optimist but not quite heavy enough for a Laser Radial. So the Laser 4.7 Rig was introduced. This uses a shorter pre-bent mast section and a sail with an area of 4.7 square meters, smaller again than the Radial sail. The Laser 4.7 which suits sailors who weigh roughly 75 to 120 lbs. 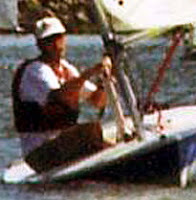 The Laser Radial for sailors who weigh 120 to 155 lbs. The Standard Laser for sailors who weigh over 150 lbs. Of course these are not hard and fast rules. Any sailor, however light they are, can sail a Standard Rig Laser in very light winds. But as the wind picks up a lightweight will find it harder to keep the boat flat and when it gets very windy they will be so overpowered that they will be capsizing way too often for it to be fun any more. Also skill level and fitness make a huge difference. A young fit expert sailor of 130 lbs would probably be faster than a heavy, clumsy old doofus like me in a Standard Rig, even in heavy weather. Some sailors own Radial and Standard Rigs and switch according to the conditions. In light winds they sail the Standard Rig; then on a day with a real blow they sail the Radial. The hull and almost all the equipment is the same. All you need to change is the sail and the bottom half of the mast. Sailing is a small world. It's amazing how you run into the same people at different times in different parts of the world. There's probably one of those weird "degrees of connection" rules in sailing. And I would hazard a guess that, in sailing, we're all connected to each other by three or fewer degrees of separation. I've written once or twice here already about running into people I knew at sailing clubs or regattas that I never expected to meet in that context. But last night I had the most unusual "small world" moment yet. I was sitting at home in Rhode Island feeling sorry for myself (still no sailing as my back injury heals slowly) and playing Tacticat. I like to check the profiles of my fellow competitors to see who they are and where they are from. I noticed that a couple of the other sailors in the race had the same last name, a rather unusual name, and I remembered that some guy in my first sailing club in England whom I hadn't seen for about 25 years had the same last name. A quick instant message (being careful not to be typing at the same time that I might need to make a sudden steering change in the race) as to whether there was some connection to the guy from last century, and I received the reply, "Yes, that's the old man." So I'm playing a virtual sailing game with two young guys who are the sons of the ace from my first sailing club. A connection that spans three thousand miles and a quarter of a century. Small world indeed. Do you have any "It's a Small World" sailing stories? "I split with the leaders, find a little booster shot on the left, and nip Bethwaite at the finish line for the bullet. Life is good." No, I didn't write that. It's a quote from Spanish Lessons, an account of the 2007 Laser Masters Worlds in Roses written by Bill Symes. Bill was sailing in the same fleet as me at Roses, but he's a much better sailor than me, and a much better writer. So enjoy his story, the story I wish I could have written about the regatta I wish I could have had. Why are fish heads so unappreciated? After all, the whole American agricultural industry started when the colonists off the Mayflower learned from their Native American friend Squanto how to fertilize their corn seeds with fish heads. Every little American kid learns the story at school. But do we have a National Fish Head Day? is there a Fish Head postage stamp? Does the President pardon two fish named May and Flower, and then send them to Disney World instead of getting their heads chopped off? Instead we have this national obsession with giving thanks for turkeys. What's so special about turkeys? I am starting a campaign to earn due recognition for the contribution of fish heads to the history and continued success of our great nation. As a first step every American family will celebrate today, the Friday of Thanksgiving weekend, by eating a delicious feast of fish heads. 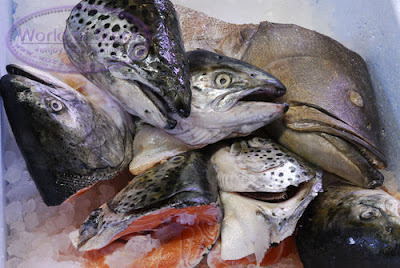 If you don't have a recipe for fish heads try this one from chinesefood-recipes.com. * Napa cabbage (as desired; approximately 2 cups). 1. Chop big fish head (salmon, tuna, or carp preferred) into 4 to 6 chunks, remove gills. Wash and set aside. 2. Wash lean pork and tofu. Dice or cut into slices. Cut Napa cabbage into shreds. Soak vermicelli till soft. Slit open the sides of mushrooms. 3. Sauté 2 slices of ginger with oil on wok. Put in fish head to fry until slightly browned. Add in appropriate amount of water right away. Boil at high heat for 10 minutes. 4. Add in tofu, mushrooms, vermicelli, lean pork, and Napa cabbage and boil for 10 minutes. Add salt to taste. Today is Thanksgiving Day here in the State of Rhode Island and Providence Plantations, and for that matter everywhere else in the other twelve former British colonies, three independent republics, and sundry other territories acquired by war, treaty or purchase that now make up the 3.79 million square miles of the fifty United States of America. You may have heard of them. Anyway, to celebrate American Thanksgiving Day, here is a Boating Blog Trivia Holiday Quiz. The answer to each question is the name of a boating blog or blogger. Clue: somewhere in the sidebar of this blog there are links to all the blogs referenced in the questions. 1. Which blog is written by a sailor who recently achieved a speed of 21.8 knots in a foiler Moth? 2. 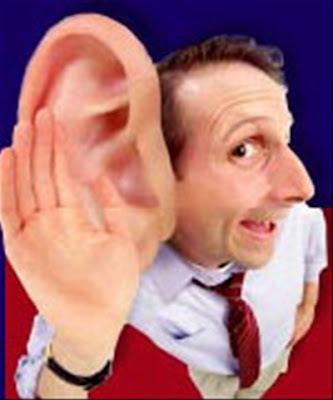 Which blog included this picture in a post about safety procedures? 3. Which blog is written by a sailor who has just launched an official Laser Olympic Campaign with the motto "Velox Ocius Pango"? 4. Which sailing blog posted this picture of a monster spider ready to devour London? 5. Who wrote earlier this month about losing her "New Jersey virginity"? 6. What's the name of the blog whose writer owns a boat named "Miracle or Jedi Mind Trick"? 7. 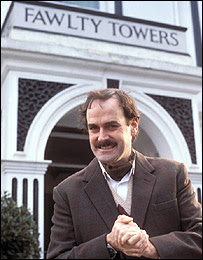 Which boating blogger recently used this quote from the classic British TV series "Fawlty Towers"? 8. Step forward for civilization. The writer of this blog has recently been training in China where he took this picture and posted it on his blog. Who is he? 9. Which sailing blog posted this vintage picture of Fish on Friday? 10. And finally, which sailing blog recently posted this anatomically correct picture as a public service to folk who ponder the mermaid problem? If you know all the answers please don't ruin everyone else's fun by posting all the answers to the quiz in the comments. One answer per person please. 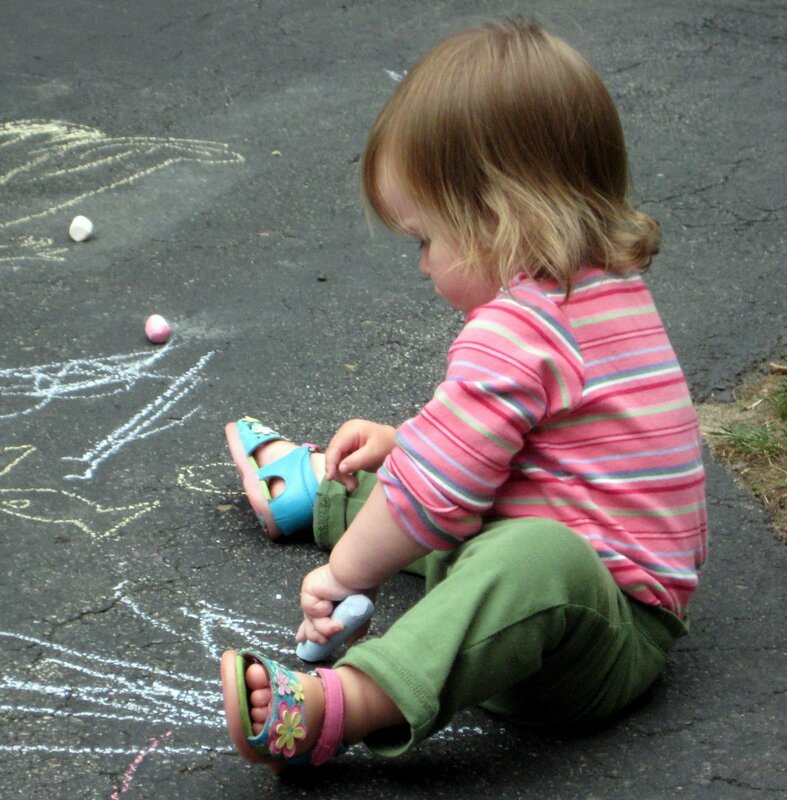 A few days ago I asked my readers whether a "real" blog ought to allow comments. In particular I asked whether a blog should allow such reader participation before being considered as a candidate for my list of Top Ten Sailing Blogs of 2007. Today, Scuttleblog, incidentally one of the Top Ten Sailing Blogs of 2006, decided to turn comments on. Whatever the reason I think it's a good move. Wonder if any of the other "sailing web sites that look like blogs but don't want to hear from their readers" will follow suit. You know who you are. I accepted the challenge from TK. I promised I would explain in more simple language what Stuart Walker was trying to communicate in his Sailing World article Unlocking the Mysterious Lake Winds. Since accepting the challenge last Wednesday I've studied the article. I've puzzled over the meaning of many of the statements in it. I've tried to make sense of them by referring to Stuart Walker's book Sailor's Wind. But that left me even more confused. And then, out of the blue, came an email from Tom Donlan, a J-22 sailor from Annapolis, who is also a professional writer and a great fan of Dr. Walker's thinking and writing. To my huge relief Tom had taken it upon himself to "translate" the first few paragraphs of Walker's article. Magic! Lake sailing is more complex than sailing on the open sea, but more predictable. A lake, like any body of water enclosed by land, is subject to gradient winds, always offshore, and by thermal winds -- the lake breeze itself as well as winds generated by the surrounding terrain. Emily and I stood on the northern shore of Lake Whippersnapper with that wind blasting into our faces. And I kept thinking about Walker's words. Gradient wind always offshore? Sure feels like it's blowing onshore to me. Lake sailing is more complex than sailing on the open sea because the wind is always coming from the land and is therefore more shifty and puffy. Oh, now I get it. Of course the wind over a lake has been blowing over land before it reaches the lake, even though in different parts of the lake it will be blowing offshore, onshore and even parallel. to the shore. That's all the good doctor was trying to say. My bad. No matter where you sail, there are two kinds of winds: "Gradient" winds are the winds from a weather system; "thermal" winds are those generated by local temperature differences between land and water. A lake is an oasis of calm in the surrounding land; a pool of cool marine air trapped above its surface protects it from the gradient winds and facilitates the development of thermal winds confined to the lake surface and its surroundings. A lake, surrounded by higher land, is less likely to be affected by gradient winds, which blow across the lake higher up than our masts. The smaller the lake, the more true this is. On the lake surface, the dominant winds are likely to be local thermal winds. There may be several different thermal winds in the course of a day. But wait. I've sailed on some pretty small lakes, probably the smallest lakes that anyone in their right mind would even consider organizing sailboat racing. And I agree that such lakes are shielded to some extent from gradient winds by the higher land around them. And though it's less intuitively obvious I could even accept Walker's point that the lake is protected from gradient winds by a pool of cool marine air trapped above its surface. But I'm not sure I accept the implication that small lake sailing is dominated by thermal winds rather than gradient winds. I remember many summer Sunday mornings on a small lake in New Jersey waiting for the wind to come in. And if there was a gradient wind of any strength at all it almost always reached the lake surface at some point during the day and was the dominant wind for sailing that day. What's your experience on this question? Perhaps my New Jersey lake had some geographical factors that made it unusual? Anyway, thanks to Ton Donlan for helping us out in understanding the insights of Dr Walker. There is lots more to come from both of them next Wednesday in our series on Walker's Words of Wisdom. I've always been a one-design guy myself. I've raced Lasers against Lasers, and Sunfish against Sunfish mainly. First boat across the line wins. But in many yacht clubs where they have a variety of classes they have some kind of handicap racing. Someone works out a conversion factor for every boat and they do some mathematical jiggery pokery to convert all the times it takes every boat to sail around the course to some common base. The bigger faster boats cross the line first but some guy in a slow boat at the back of the fleet might win on corrected time if he is a better sailor than the guys with the big boats. The Portsmouth Yardstick is one of these handicapping systems. The tables in the link are calculated from elapsed times of actual races sent in by yacht clubs all over the country to US Sailing. So the handicaps are based on the performance of real boats of each class raced by real people in real races. I own a Choate Cf 27. The Yacht club where I race the boat uses the Portsmouth Rating system. I have to race an E Scow. In the Portsmouth system my boat is rated 75.3 and the E Scow is rated 75. Where did Portsmouth get these numbers? There is no way this right. I have written Portsmouth to try to get the rating changed and the say they have the number to prove the rating is right. Hmmm. I don't know why he thinks I can help him. As I mentioned before I'm more of a one-design kind of guy. I have done some handicap racing and even won my old club's multi-class championship in a regatta scored using the Portsmouth Yardstick system. 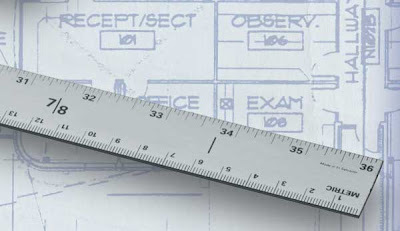 Why is it a "yardstick" by the way? I've no idea. Anyway I did do a bit of googling around about Choate Cf 27 and handicapping methods, and discovered an interesting story about a Cf 27. Apparently back in 1996 some guy bought a rather tired, 18-year-old Cf 27, slapped on a coat of paint, and picked up a few new sails. He entered it in a 116 boat handicap regatta in San Diego and on a 7 mile course won his class by over 9 minutes. So don't blame the boat, my friend. Don't blame the handicap system. Prepare the boat well and you may well do as well as the San Diego guy. The full story is at Dennis's Menace. Oh yeah, I forget to mention, the skipper of the Cf 27 in the San Diego race was Dennis Conner. Any comments, observations or advice from readers who are into handicap racing? Do you know any good drills you can do by yourself that test your boat speed and pretty much every other component in a race, or do you know of anything that can maintain your skills over the winter when you can't sail that much? Wow. I'm flattered that this sailor would look to me for advice on these topics. I am by no means an expert on how to train yourself to go faster. Only a few days ago I was writing a post on Boat Speed and how I am puzzled about how to improve it. But those are great questions so let me have a stab at answering them and perhaps some of my readers will chime in with better answers in the comments. First of all I think the answer to the question as to whether there are any ways in which you can "test your boat speed" in drills by yourself is that you can't. The only real way to check your boat speed in a Laser is to tune up with at least one other sailor. Sail side by side so that you are both in clear air on the same heading and then see who is faster. Then, if you can, work out what the faster guy is doing differently, copy him, and repeat. Repeat hour after hour. Day after day. Month after month. And you will get faster. Maybe a better question is whether there any drills you can do by yourself that will improve your boat speed and boat handling. And the answer to that question is, "I hope so." Here are just a few things that I do when I practice by myself. Sail upwind for a mile or so. Focus in turn on each aspect of what you are doing. How are the sail controls set? What happens if you adjust each one in turn? Does it feel more powerful? Does it feel faster? How is your hiking style? Does it hurt yet? if not, hike harder. How flat is the boat? What is the fore-aft trim? Are waves coming over the bow? What's the best way to steer to avoid slamming into the waves? How heavy is the helm? Practicing by yourself doesn't give you the same feedback on boat speed as tuning up with a partner, but it will improve your sensitivity and feel for the boat, not to mention your fitness, which should translate into better boat speed. Sail offwind at different angles from close reach to broad reach to extreme by-the-lee. Again focus in turn on every aspect of your sailing. What do you need to do to get the boat planing, or keep it planing? Can you catch a ride on the waves at this angle, that angle. Again you don't have an objective way of knowing what is right or wrong but you are building your subconscious knowledge of how the boat sails at different headings to the wind in different wind strengths and different wave conditions. Pick a fault you know you have and invent a drill to work on it. A few weeks ago I wrote about the way in which Laser mainsheets can tie themselves in knots in a post entitled I Can Tie Knots With My Feet. So in my last practice session I spent a lot of time concentrating on how my sheet ends up in a heap in the bottom of the cockpit and what I need to do to keep it arranged tidily after sheeting in or tacking. I discovered one or two tricks about what to do with my hands during a tack and with my feet afterwards that would help to keep the sheet tidy and stop it getting in a tangle. Do some simulated starts. Make an imaginary line between a buoy and some other point and practice using that as a start line. How long can you hold position just below the line? How long does it take to accelerate and cross the line? Can you time an approach with your watch to hit the line at full speed at the end of a one minute countdown? Try different techniques. Set up a short triangle with three buoys simulating windward, gybe and leeward marks. They only need to be ten or so boat lengths apart. Sail round and round this triangle a gazillion times doing everything you would in a race. Adjust the sail controls for each leg of the course. Round each mark just as you would in a race. Make the tacks and gybes as perfect as you can. There is evidence that practicing all your boat handling skills one after the other like this works more effectively than just going out and doing, say, 100 tacks one after the other. As I said, I'm not an expert on self-coaching, so if others have better ideas please chime in with comments. So what else can you do in the winter to maintain your skills if you can't sail? Well, how about the following? Use a sailing simulator such as Tacticat to stay sharp on tactics and strategy. Or even better, don't accept that you can't sail much in winter. Join a frostbite fleet or travel somewhere warm to sail such as Cabarete. Anybody have any other good advice for my young friend? Dear Reader, I need your help. In a few weeks time I will publish the third of my annual lists of the top ten sailing blogs of the year. And I would like to hear your suggestions of which blogs should be included in the list for 2007. When I compiled the first such list for the Top Ten Sailing Blogs of 2005, it was comparatively easy. To be honest there weren't a huge number of sailing blogs around in 2005 and there were only a dozen or so that struck me as being of sufficient merit to warrant including as candidates for the top ten list. Then in 2006 the number of sailing blogs increased dramatically, but even so there weren't too many high quality blogs that had been updated regularly for most of the year. I had to eliminate several blogs that would have been good enough to make the top ten list the previous year but, even so, I only had a relatively small list to whittle down to the winners in the race for Top Ten Sailing Blogs of 2006. Firstly the number of sailing blogs has mushroomed even more. I just can't keep up with them all. Every week I am discovering new sailing blogs and many of them are of a standard that would put them on the short list for last year's top ten. This is a good thing. Secondly, it seems to me that the quality of the top few sailing blogs is now significantly higher than any of the blogs that made the top ten list last year. I could name three or four blogs that stand head and shoulders above the others, and set a standard comparable to the best professional sailing journalism in any medium. This is a good thing too. But that leaves me with a quandary. I think I could easily name the Top Three Sailing Blogs of 2007. But my short list for the Top Ten would include forty or fifty names, and there are probably others of similar quality that I haven't even discovered yet. So please help me. Let me know which sailing blog or blogs you think should be included in the list of Top Ten Sailing Blogs of 2007. It must have been in existence for most of the year. It must be actually worth reading... it's interesting, entertaining, educational, funny, whatever... something grabs you about it. I think the first four are no-brainers. But what about the fifth one? Should I consider "blogs" for the top ten list if they don't allow comments? Are newsy websites that don't allow any feedback from readers even real blogs at all? Please let me know what you think. 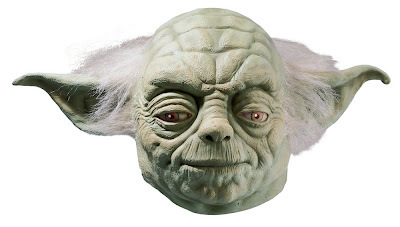 I am all ears. Thank you for asking me to assess Mr. McGee, whom I interviewed on January 15, 1901, at the marge of Lake Lebarge. The following is my report. Identifying data: This 31-year-old Caucasian, single, unemployed, right-handed, heterosexual miner was referred for psychiatric assessment after claiming to be impervious to extreme heat. Chief complaint: "Shut the door, you're letting in the cold air." History of present illness: Mr. McGee suffered a severe case of hypothermia whilst travelling by dogsled from Dawson City to Whitehorse earlier this winter. His companions believed him to have expired and, as instructed, proceeded to cremate his last remains in the boiler of an abandoned ship on the marge of Lake Lebarge some 50 miles north of here. After some time they decided to investigate and discovered Mr. McGee to be alive and in good spirits within the boiler, surrounded by flames. He maintained that he was feeling warm and comfortable and demanded that they close the boiler door because it was drafty and the cold air was causing him distress. As it was too hot inside the boiler for his companions to enter, they called upon the Northwest Mounted Police for assistance, who in turn contacted the Whitehorse Mental Health Unit, and a psychiatric assessment was requested. Medical history: Cold intolerance is described, along with lack of sensitivity to heat. Alcohol and nonprescribed drug usage: Social circumstances are consistent with possible alcohol abuse in the previous year, but no collateral information is available. Nonprescribed drug usage unknown. Family psychiatric history: Unknown in the absence of collateral information. Personal and social history: Mr. McGee is originally from Plumtree, Tennessee, and came to the Yukon at the time of the 1898 gold rush. His educational level is unknown, though he is literate, so presumably he has had some elementary level schooling. It is believed that he had a female partner back home, but there has been little or no contact for a number of years. His success at gold mining has probably been limited, given that he was returning home in penurious circumstances at the time of the incident leading to the present assessment. Social activities and religious beliefs are unknown. Mental status examination: He presented as a tall, thin man with a bushy black beard looking older than his stated age and wearing a singed checkered shirt and red braces. His voice was gruff and rapport was poor, as the interview was conducted by shouting in the midst of a roaring fire. His affect was irritable, but there did not appear to be any indication of mood elevation or depression. No psychotic features were noted in the mental content aside from the idiosyncratic conviction that he was feeling cold due to the open boiler door. He appeared to be cognitively intact, but insight and judgement must be considered to be limited given the milieu. In the circumstances, I was unable to form an opinion regarding his character structure such as personality traits, needs and defences. Preferred diagnosis: Delusional disorder, somatic type. 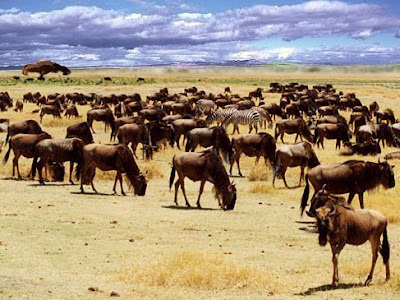 Summary and formulation: This 31-year-old unemployed miner was assessed on the marge of Lake Lebarge at the request of the Northwest Mounted Police, who were notified of bizarre behaviour with abnormal heat tolerance. An interview conducted at the site was of limited value because of his inability to sustain an ongoing conversation with the boiler door open, owing to his idiosyncratic conviction that he was feeling cold from the draft. I, on the other hand, was unable to sustain the interview in his milieu because of the extreme heat. This man appears to suffer from a delusional disorder related to his misperception of the ambient temperature. His conviction is judged to be of delusional degree given that his companions and others have been unable to reason with him to accept the normal Yukon winter temperature for his surroundings. 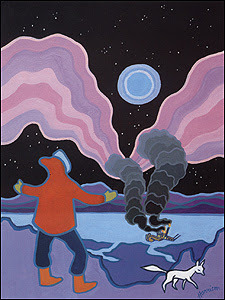 Treatment plan / recommendations: Because Mr. McGee is placing himself at risk for tissue damage by virtue of his refusal to accept a reasonable thermal environment, I recommend that he be apprehended, committed under the Mental Health Act of the Yukon Territory and conveyed to Whitehorse General Hospital for psychiatric observation. All measures should be taken to ensure he is kept warm during transport. On arrival, thyroid studies should be undertaken, the cold intolerance being suggestive of hypothyroidism. Meanwhile, sedatives may be given to assure a calm patient during his removal from the boiler and transportation to Whitehorse. Kippers are part of an ancient British tradition that spans thousands of years. The best kippers start with the best herring, freshly caught in the cold waters of the Atlantic or North Sea. Cleaned and butterflied, the herring are brined and smoked with hardwoods, which may include hickory, oak, or other woods. The process, while passed by the British from generation to generation, is unique to each region and producer, making each type of kipper (Manx, Loch Fyne, and Caster to name a few) almost its own distinct product. However, kippers are not just delicious, they are also quite good for you. They are very high in omega-3 fatty acids, which have been linked to lower rates of both heart disease and inflammatory ailments such as arthritis, and also low in saturated fat. The British Nutrition Foundation recommends 2-3 servings of oily fish (such as herring or mackerel) per week in order to take advantage of the omega-3 content, and kippers are a superb choice. Kippers can be grilled or baked (dotted with butter and wrapped in aluminum foil), and are delicious on their own or as part of a dish. A traditional British breakfast is to serve a grilled kipper with scrambled eggs and toast. One of the things I appreciate about my adopted country the United States, as compared to my country of birth the United Kingdom, is the absence of titles designating social class...no princes and princesses, no lords and ladies, no dukes, earls, barons, counts or knights. Actually it's not entirely true that there are no American knights. A number of prominent Americans have accepted knighthoods from the Queen of England including Sir Bill Gates, Sir Steven Spielberg, Sir George Bush and Sir Rudy Guiliani. No sorry. I didn't get that quite right. All those distinguished gentlemen are knights but as Americans they don't get to style themselves as "sir". There is of course an honors system in the USA. There is, for example, the Congressional Medal of Freedom which was awarded to George Tenet for his sterling work at the CIA providing slam dunk intelligence about those WMDs in Iraq. A lot of people didn't approve of that award but at least we don't have to call him Lord Tenet of Mclean. One of the beauties of the British honors system is the use of the various ranks in the Most Excellent Order of the British Empire to recognize achievements and service in all walks of life. For example, a few days ago the Queen awarded the MBE to one Des Pawson for "services to ropes and knot-tying". I hadn't heard of Des before (yes, that's him in the photo at the top of this post) but apparently he is well known in the knot-tying community. He is the founder of the International Guild of Knot Tyers, and of the Museum of Knots and Sailors Ropework. 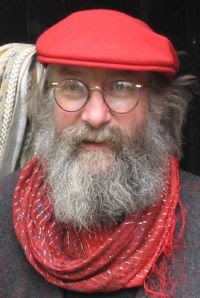 He has published several books on knots and has been a speaker at a number of international conferences on knots and ropework. Des Pawson. Member of the Most Excellent Order of the British Empire. For services to ropes and knot-tying. Isn't that wonderful? When I started writing this blog back almost three years ago, the way that I described myself in my profile was to talk about the various volunteer activities I performed in sailing. I was Laser fleet captain at my club. I had founded that Laser fleet (or to be more honest re-founded it after it had died out many years previously.) I had started an annual Laser regatta at the club. I publicized the fleet, persuaded folk to join it, helped people find boats, gave advice to newbies, represented the fleet's interests on the sailing club committee, and so on. I spent many hours every month editing and publishing that sailing club's newsletter. I wrote articles myself every month for the newsletter (usually promoting the Laser fleet of course.) I cajoled other members to send me their articles. I put them all together in a desk-top publishing program into what I hoped was an attractive format. I battled with the employees at my local cheapo copy shop every month to get the newsletter copied properly. I folded and stamped every newsletter personally and mailed them. It sounds like a thankless task, but it wasn't. Some of the wonderful members of my club expressed appreciation for my efforts. That made it all worthwhile. I had initiated a series of junior Sunfish regattas in our area, and was the scheduler and organizer of that series. The idea of such a series had been bouncing around for a while but nobody was prepared to step up and make it happen until I offered to do it. I persuaded local sailing clubs to host the regattas, gave them advice on how to run them, and often helped out with race committee work at the regattas too. I did the publicity and sailing instructions and registration and finances and scoring and bought the awards and organized protest committees occasionally and I forget what else. It was a lot of fun seeing kids sailing in their first regattas and making friends with kids from other clubs and traveling to sail on other lakes and learning that there's a whole world of sailing outside their own little club.. and along the way becoming damn fine racing sailors too. For a while I was the regional rep and regatta scheduler for the Sunfish Class. For six summers I worked as a sailing instructor at two different local weekday sailing programs for kids. There was other stuff too. In other words I did a lot of things in the sport of sailing other than just go sailing on my own boat. Things that had to be done so that I and others could have our fun on the water every Sunday. Without kids joining the sport, without local fleets, without someone putting together a regatta schedule, without someone publicizing your sailing club's activities, this sport would die out pretty fast. I tell you all this not to make out that I'm such a paragon of virtue deserving of your admiration. In any case I don't do any of that good stuff any more. 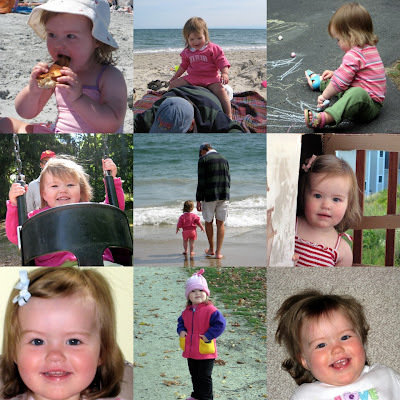 Why I gave it all up is a subject for another post one day... maybe. There are many many volunteers working behind the scenes to enable us to be able to enjoy our sport whether it's racing at your local club, going to regional and national regattas, or even sailing in a World Championship or taking a shot at the Olympics. I'm just telling you that I used to be one of those guys so that I have some credibility in discussing some of the reasons why folk take on these jobs and how they go about doing them. So why did I take on all those volunteer jobs? That's how I ended up doing the newsletter and the Sunfish rep jobs. I guess I was somewhat flattered to be asked (even though half a dozen others may have been asked before me and found some excuse to turn down the jobs.) I suppose I felt that they were jobs worth doing and that if nobody else was going to do them I had some kind of obligation to fill the gap. I probably thought they would be interesting in a masochistic kind of way too. I was right about the masochism. For purely selfish reasons I wanted to be able to race my Laser in the summer at a club near my home. There wasn't a fleet locally so I decided to start one. I saw a lot of kids sailing Sunfish locally who, I thought, would progress faster in their sailing if they had the chance to sail a few regattas every summer at other clubs. I floated the idea of a junior series to the local sailing association. They liked the idea but nobody else had the time or inclination to make it happen. So I said I would. Hell, yes. Pride in doing a job well. Seeing other folk enjoying their sailing because of something I made happen. There's a lot of satisfaction in building a fleet, growing a club, seeing kids enjoying their time on the water. Sometimes I was thanked for my efforts. Sometimes I wasn't. That was OK too. But now for the dirty little secret that some people in our sport don't seem to appreciate. To make anything happen you need to work with other people and persuade them to accept your ideas and motivate then to do things to help you. And to do that you have to make alliances and compromise and do things that the other people think are more important. That's the way things work in any field be it sport, business, academia or government. Some call it "making deals" or "politics" as if there's something immoral or dishonest about this activity. I am referring of course to the backlash in the last few days to the decision made by the International Sailing Federation (ISAF) as to which types of sailing to include in the 2012 Olympics. The Olympics powers-that-be told ISAF that they had to have one less discipline than they have now. They chose to drop multi-hull racing. Of course a lot of people don't like that decision. They are accusing the delegates on the ISAF Council of all kids of shenanigans. Politics! Making deals! Shock, horror people! Grow up. Of course there's politics. Of course there are deals. With so many people on the council with so many different interests how else would anything get done? There are accusations that the council members fought for "special interests" rather than worked for the "good of the sport". Well, yes they did. And you would too if you were in their shoes. When I wanted to persuade my local sailing club to allow me to start a Laser fleet I was an advocate for the "special interest" of Laser sailing. Sure, I thought that it would be good for the club to have a Laser fleet. But there was also a risk that growth of the Laser fleet might be at the expense of some of the other fleets. Did that stop me? Hell, no. I interpreted "good of the sport" and "good of the club" through my own blinkered position of wanting to have a Laser fleet. I suspect that something of the same dynamics are happening in the more rarefied upper reaches of decision making at ISAF. On some of the forums there are claims flying around that the people who made this decision are out of touch with the sport, old, no longer actively involved in sailing, need to get out and hear sails flapping in the wind, and so on. Now I don't recognize many of the names of the ISAF Council members but I do know a couple of them. And they are very much involved in working on and off the water to make our sport possible. They are the guys who I see day after day at major regattas running the race committees so I can enjoy my Laser racing. I suspect that most, if not all, of the other council members have strong active relationships to actual sailing too. And finally, a note to you multi-hull sailors. Sure you are disappointed that your discipline is the one dropped from the 2012 Olympics. But do you think it helps your case to have that decision reversed if you abuse the volunteers on the ISAF Council? Calling them "fat old men" and accusing them of being on the council purely to enjoy the "business class travel" and "five star hotels" are not going to win you any allies on the council. Learn a little diplomacy. Practice a little politics (in the good sense of the word). Have you considered that perhaps one reason that boats like the Star and the Finn have survived in the Olympics so long is that the leaders of those classes might have mastered the arts of persuasion and advocacy better than the leaders of the multi-hull community have? So please don't abuse the volunteers at any level of the sport. They may be doing their jobs for all kinds of personal, even self-serving reasons. But the jobs are necessary and they are the ones that stepped up to do them. By all means discuss and debate with them the decisions they make. But please respect the individuals concerned and refrain from personal attacks. We understand that some will be very disappointed but the personal and vitriolic attacks that we have seen do nothing to help the cause of those making them. In fact, they only do damage. This week I received an email from TK that challenged me to explain one of Stuart Walker's articles in Sailing World: Unlocking the Mysterious Lake Winds. After reading your Wednesday additions of deciphering Dr. Walker, I stumbled into this one. I do a lot of lake sailing and figured I could make it through without scratching my head. Wrong! The itch in the scalp started at about paragraph 2. Phew! I didn't absorb much of anything and now I need to lie down. Perhaps you can translate! Wow. I see your point TK. As with much of the good doctor's writing it seems that there's a lot of good advice in there, but it's certainly tough to understand. I may need several posts in the Walker's Words of Wisdom series to unlock the mysteries embedded in this article. He uses words like "insolation", "entrained", "lift-off" and "divergence" that are not part of the everyday vocabulary of normal racing sailors like myself, or that may have specific technical meanings different from their everyday meanings. He writes complex sentences with clauses within clauses, parentheses within parentheses that are very hard to follow. Take this for example. The likelihood of development and the strength of lake breezes and upslope winds are proportional to the ease of liftoff from the near-lake land (which is proportional to the lapse rate [the disparity between the temperature of the insolated land surface and the overlying air]) and to the coldness of the lake water and are greatly influenced by the direction and temperature of the gradient wind. Does this mean cold lakes will have winds only on those days that are clear and have surface heating by the sun, but never have wind on dull days or on clear days with no surface heating; or does it mean that if it's a clear day and the land surface is heated by the sun the lake will have wind, but on days that aren't clear there might be wind for other reasons? He is trying to explain three things. What the wind on lakes does. Why it does it. And what to do about it in a race. Personally I need to understand and grasp the first two before I can learn the third. But these three kinds of information are all mixed up together in the text. There is paragraph after paragraph of complex, abstruse text with no sub-headings or bullet points to help understand the structure of the article at a glance. How are those 17 paragraphs grouped into larger chunks of message? Or do they all stand alone? He never makes clear what kind of lakes he is talking about. The tiny little puddle I used to sail on in New Jersey, surrounded by trees, only a couple of hundred yards across at its widest point? Larger reservoirs a mile or two across? Much larger lakes like Lake Ontario but sailing within a mile or two of the shore such as at CORK? Long distance racing on major lakes such as Lake Michigan? All of the above? Maybe it's my fault. Maybe I don't read enough books with complex arguments and technical explanations these days. But I don't think so. I'd wager that I read more non-fiction on heavy and complicated issues than much of the population, and still I find Walker's writings tough. But now I've identified the major causes of the obscurity I may be able to tease the messages from the code. If you found one of your sailing buddies doing this what would you say to him? Does this explain your attitude to different boats? For example, I find the Laser to be the perfect boat for me. It was invented when I was 22. I can't imagine wanting to sail a Star (designed in 1910, way before I was born), and I think that foiling Moths are totally against the natural order of things. Discuss. Do not write on both sides of the paper at once. Points will be awarded for pointlessness and deducted for historical accuracy. I'm beginning to wonder if there really is any field of human activity that is so tiny, so irrelevant, so abstruse, so meaningless that it isn't of fascination to some not insignificant number of people. Can there be such a thing as a totally pointless blog if at least one person other than the reader finds it interesting? Clearly the two blogs that I picked as examples don't qualify as pointless at all. Some of my own readers, who by self-selection are the smartest and most discerning blog readers on the planet, found why a tittle? and Change is Good to be of some merit. "Amazing", "incredible", "wow" were some of the accolades. And something else I had failed to notice. The writers of these two blogs are not lone voices in the wilderness. If you look at the links on these two blogs you will see that they are both members of whole communities of bloggers devoted to writing about observed examples of specific mistakes in punctuation or typography, and coins found on the ground respectively. Clearly these folks don't find these subjects pointless at all. So is there a blog out there that is so pointless that nobody ever reads it, nobody finds it interesting? The question reminds me a bit of the zen-like question as to whether there is such a thing as an uninteresting number. Many numbers are interesting... 2 is the first even prime, 3 is the number of spatial dimensions in which we live, 4 is the smallest number of colors sufficient to color all planar maps.... and so on. Even much larger numbers can be interesting. For example, 1729 is known as the Hardy-Ramanujan number after a famous anecdote of the British mathematician G. H. Hardy regarding a hospital visit to the Indian mathematician Srinivasa Ramanujan. In Hardy's words: "I remember once going to see him when he was ill at Putney. I had ridden in taxi cab number 1729 and remarked that the number seemed to me rather a dull one, and that I hoped it was not an unfavorable omen. "No," he replied, "it is a very interesting number; it is the smallest number expressible as the sum of two cubes in two different ways." Hello, anybody still there? Does this seem extremely pointless? Where was I? Oh yes. So lots of numbers are interesting in this sense. But surely not all of them? There must be way too many numbers for them all to be interesting. Aren't some of them dull? Well, let's suppose that every number up to 37, say, is interesting. Then 38 would be the first dull number. But that is an interesting thing about 38. It would be the one and only first dull number. That's really interesting (if you like that kind of thing). OK then 39 must be the first dull number. But wait. If 39 is the first dull number then that's really interesting. And so on. And so on. So there's no such thing as an uninteresting number. So if there is such a thing as the Most Pointless Blog in the World, wouldn't that be an amazingly popular, not to say interesting, blog? People would write about it and link to it. The author would be a celebrity. He or she would almost certainly get a book deal to publish the posts written in the Most Pointless Blog in the World. The book would become a best-seller. After all, Jerry Seinfeld created one of the most popular, most successful TV series of all time by writing scripts that were... about nothing. Totally pointless. Stop reading right now. Go away. You don't have the attention span, the intelligence, the sheer will to read the below information regarding the pointlessness of blogs, so cease and desist reading immediately. This isn’t a joke. Go away. The counter at the bottom of the page is about 10x the amount of people who even know about this page. This is for me and me alone; my public declaration to the deaf and dumb, the ignorant masses who don’t even deserve the chance to know they’re wrong; and you are one of them. The message is simple: STOP READING BLOGS. Or perhaps our winner should be someone who achieves meta-pointlessness by becoming a portal for all other pointless blogs. A bit like PointlessSites.com which describes itself as the Premier Portal of Pointlessness. I haven't been sailing for almost three weeks, not since this day. I do hope my back injury heals soon. I'm not sure my readers can stand many more pointless posts like this one.